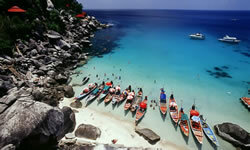 Thailand offers a stunning array of beautiful scenery, a rich cultural and historic heritage, and warm, hospitable people. In Bangkok, the ‘Venice of the East’, travel the rivers and klongs by longtail boat as you visit its many extravagant palaces and temples. In Chiangmai explore the colourful crafts and night markets, ride an elephant, visit hill tribe people, and raft down gentle flowing rivers. 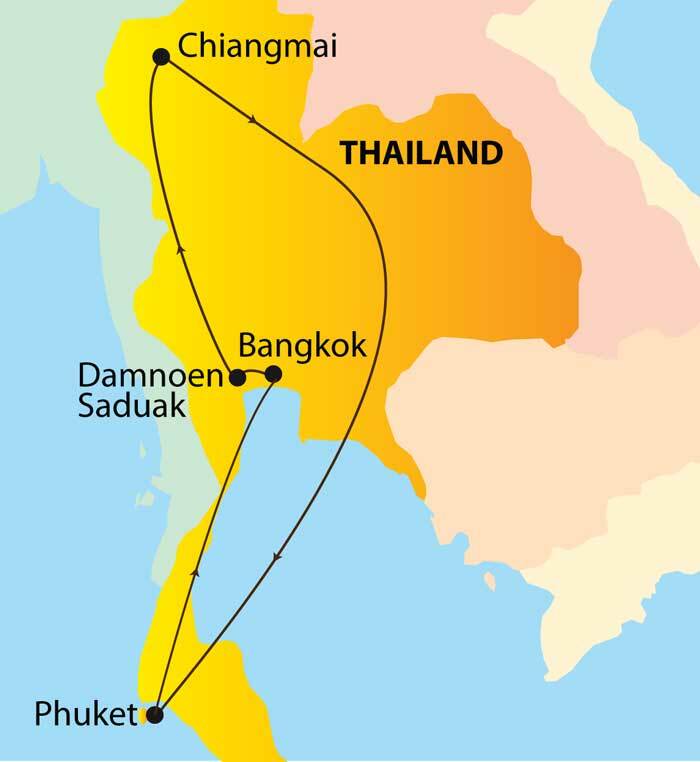 Then, end this wonderful journey with a few days relaxing in exotic Phuket, Thailand’s premier seaside resort. Enjoy 2 full days to relax and enjoy the beautiful surroundings of fabled Phuket with its pure white beaches edging the turquoise Andaman Sea.